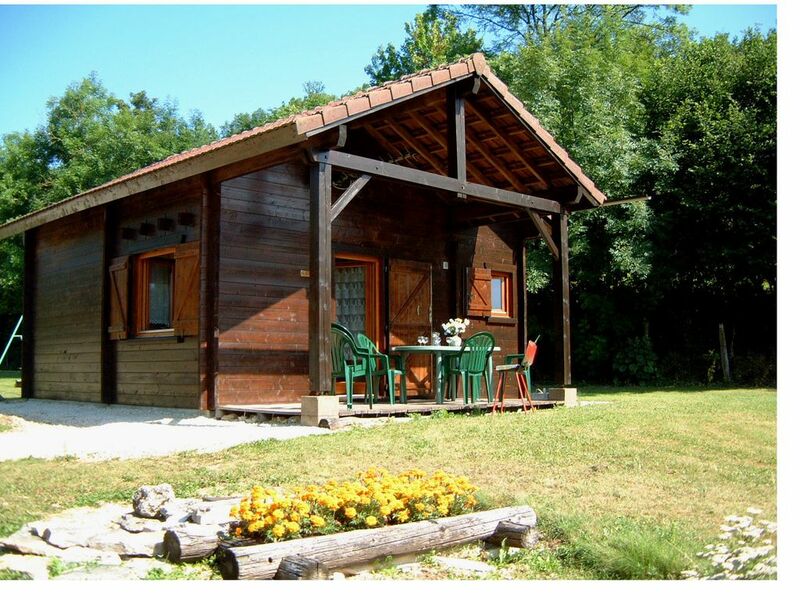 Chalet all wood, 2 hours south of Paris, for week end, weeks or more .. for 2 to 3 people. Change of scenery in contact with woods and nature, on a large lot, ideal for a quiet holiday. (In high season, July and August, arrivals and departures on Saturdays only). Special welcome owners who will give you, if you wish, any information or documentation to make the most of your stay and very tourist area. 'Little Paradise' for hikers, ATV rides, river descents kayak or fishing parties (river 500m, The Cure, 2nd grade, ponds 12km), not to mention the food and wine regional so famous. Free internet access on the site. Rates all charges included, sheets and pillowcases provided. (open from April to November) (A la carte stays: week end, weeks, fortnight or more ...). (Prices based on 2 people; in all seasons, Extra person: 20 € / person / week). (Tourist tax: 0,60 € / night / adult). Possibility rental wk outside July and August: 139 € / 2 nights / 2 people. (additional night: 60 €) Possibility of final cleaning package: 45 €. An animal "nice accepted.Cheques accepted. Touristic tour: Visit the old town of Avallon, and its ramparts, followed by the Cousin Valley, a small stream that flows into the state of torrent (old mills restored, walks in the woods), then, arrival at Saint Père sous Vézelay, church Gothic Flamboyant, real stone lace, museum, and access among the vézelien vineyards in the village of Vézelay, at the top of an imposing hill flanked by a Basilica 120m long, the most long European, a real masterpiece of architecture, classified World Heritage by Unesco, one of the departures for St Jacques de Compostela. Continue with the discovery of 'salty Fontaines' old Gallo Roman baths, and the charming village of Pierre Perthuis, and Castle Bazoches remains of Marshal Vauban, before joining the Morvan Lakes, Lake Crescent. Facilities: Rooms: very clean and comfortable bedding. Bathroom with shower, sink and cabinets. WC separated by a corridor. Linen provided, but linen (towels and tea towels) not provided. Deposit required: 200 € (receipt issued on the day of arrival and deposit returned the day after departure if chalet as clean as on arrival. Cottage very well equipped and very clean, complete culinary equipment: oven and hob, microwave, refrigerator, coffee maker, kettle, pressure cooker, toaster, dishes in sufficient numbers. Comfortable bedding (spring mattress, slatted base) and extremely clean. TV with TNT. Internet access on site. Individual barbecue, garden furniture. Local washing machine. Outdoor games: ping pong, bowling, swing, badminton, sandpit. Het was een schattig huisje met veel ruimte en rust. Het was ook super schoon! Le cadre est très calme. Les balades à faire aux alentours sont superbes. Nous avons passé quelques jours de vacances vraiment reposants et revigorants. Wir haben die Woche sehr genossen. Das Haus ist einfach, sehr sauber und hat alles was man braucht. Mathieu und Délfine haben uns mit vielen nützlichen Informationen über die sehr schöne Gegend (wo baden, wandern, Dörfer, Märkte etc.) versorgt. Uns hat alles sehr gut gefallen. De ontvangst was goed, de eigenaar haalde ons op in het dorp, na ons telefoontje. Een compleet ingerichte chalet. Na uitleg waar alles te vinden was, zoals een supermarkt, pinautomaat en leuke plekjes in de buurt, kon onze vakantie beginnen. Een mooie streek met graanvelden, zonnebloemen te over, en oude kastelen. We hebben een fijne week gehad, een aanrader. Wij verbleven er van 7 t/m 14 juli 2018, Steven en Arnita. Heart Burgundy, close to the Morvan Regional Park, Cottage built on the outskirts of a small village located 35km south of Auxerre, and 17km north of Avallon and Vézelay (high place of Burgundy), 3km the famous caves of Arcy sur Cure, 10km Saussois climbing rocks, 20km from Chablis and its world-famous vineyards. Other very popular sites, such walnut trees (one of the most beautiful villages in France), Guédelon Medieval Site, Morvan lakes, and many villages where there is a 'real' warm Burgundy atmosphere. Close to 4 adventure parks where you can practice via ferrata, acro branches, climbing, canoeing, Ball bread, karting, quad biking and horse riding ... in two equestrian centers. And if you want, you can even fly over our region Balloon, lasting memory!